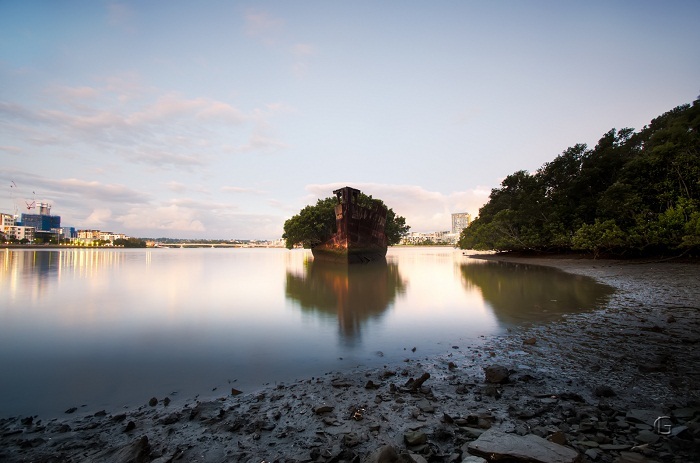 SS Ayrfield Shipwreck is an abandoned ship located in the Homebush Bay, west of Sydney, Australia. This shipwreck is just one of the many abandoned ships, who were decommissioned in the bay, but what makes it different is the incredible foliage that adorns the rusted hull. 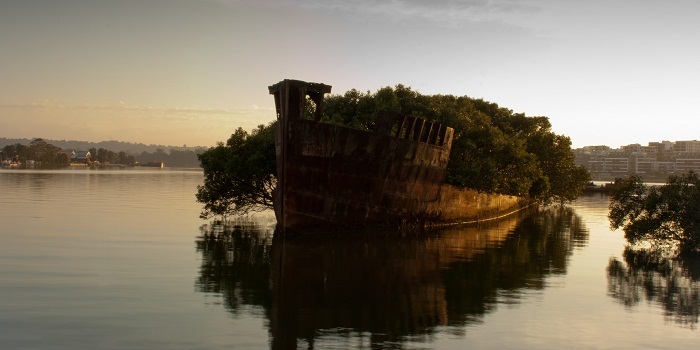 Originally the ship was launched as SS Corrimal, and was built in the UK in 1911. It was a steel-hulled, single crew, steam collier of 1,140 tones and 79 meters (259 feet) in length. 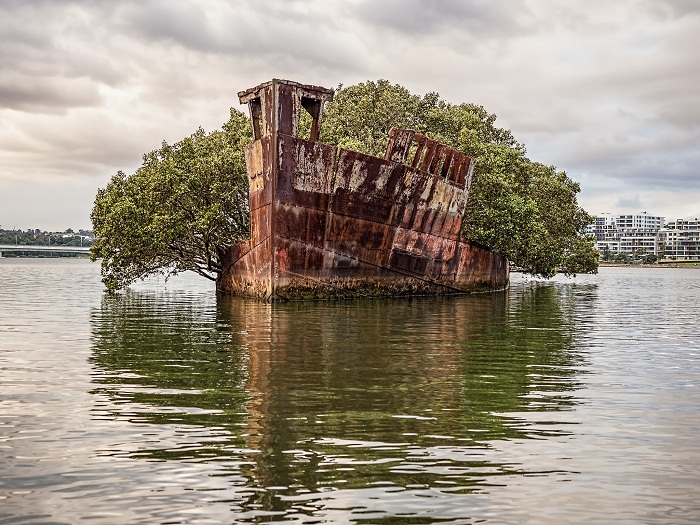 After its construction, the ship was registered in 1912 in Sydney as a steam collier which was later used to transport supplies to American troops stationed in the Pacific region during World War II. In 1950 it was sold to Bitumen and Oil Refineries Australia Pty Ltd who kept it only for a while. 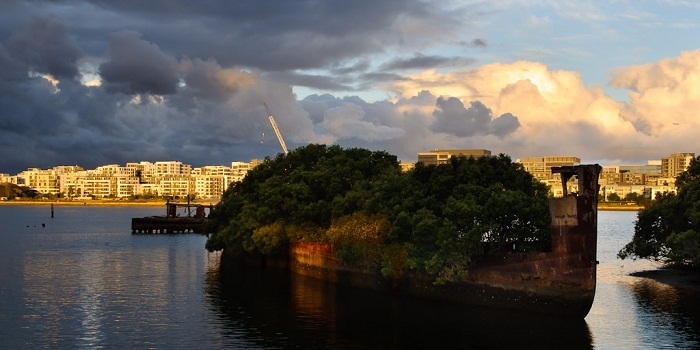 The current name it has was given to the ship in 1951 when it was sold to the Miller Steamship Company Ltd and operated as a collier between Newcastle and Miller’s terminal in Blackwattle Bay. 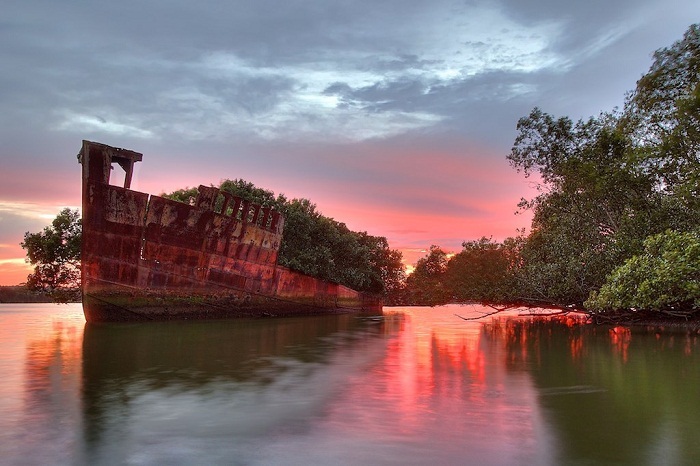 Eventually in 1972 the retirement for the ship comes, and Homebush Bay was chosen at the time due to the fact that it served as a ship-breaking yard. 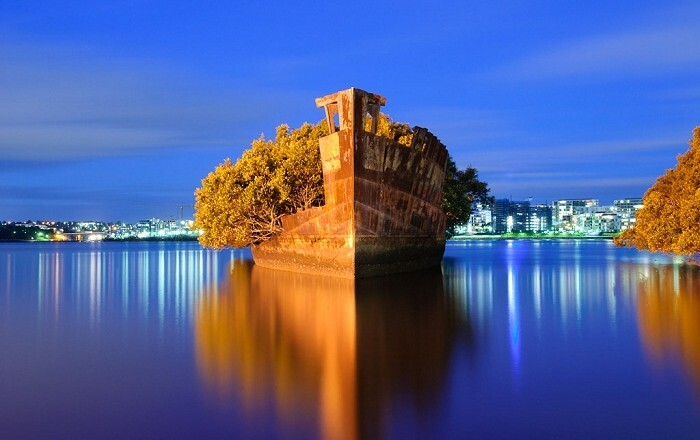 Although, there are many ships in the Bay, SS Ayrfield is the most unique, due to the bunch of full-grown mangrove trees that now call this rusty partly-submerged piece of metal home, creating a new and unique attraction that allures in photographers from all over the world.